US Acute Care Solutions (USACS) today announced a new Integrated Acute Care partnership with Union Hospital in Elkton, MD. USACS’ unique model of Integrated Acute Care brings emergency and hospital medicine services together as one team with one purpose: seamless, quality patient care across the entire acute care episode. The new partnership will begin July 15, 2018. USACS has been providing emergency medicine management services to Union Hospital since July 2014. The new partnership extends the strong relationship to cover hospitalist services. The USACS model of Integrated Acute Care builds on USACS' commitment to physician ownership by creating a single, accountable team of physician leaders responsible for continual improvement of patient care throughout the patient's stay, from entrance into the Emergency Department until discharge, and even beyond. The model has led to improvements in key quality metrics, particularly those related to a hospital's preparedness for the future. Union Hospital chose USACS both because of its already established performance in the Emergency Department, as well as its desire to have a single, accountable partner across the entire care continuum. We are pleased to have the USACS team here as it reflects our continued commitment to offering the community comprehensive health care services that also align with our commitment to the highest quality care and standards,” said Rich Szumel, MD, President and CEO of Union Hospital. “The ability for USACS to work together with our community physicians in the best interest of our patients is a key component to providing seamless continuity of care from the ED through the inpatient/observation stay and back to home. Founded by emergency medicine physician groups in Colorado, Florida, Maryland, Ohio and Texas and capital partner Welsh, Carson, Anderson & Stowe, USACS is the national leader in physician-owned integrated acute care, including emergency medicine, hospitalist and observation services. USACS provides high-quality emergency and hospitalist care to over 6 million patients annually at more than 200 locations, and is aligned with leading hospital systems across the country. Visit usacs.com to learn more. 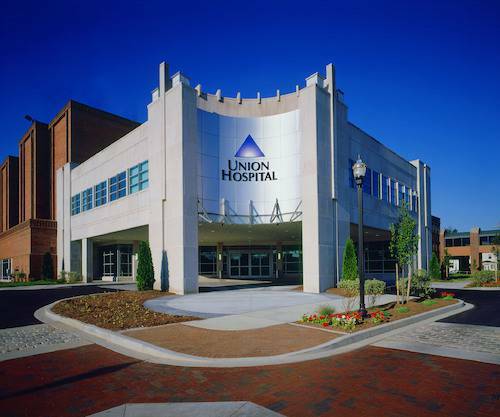 Union Hospital is an award-winning, full-service community hospital located in Elkton, Maryland. Nationally recognized for clinical excellence in the treatment and prevention of disease, our 83licensed bed, not-for-profit hospital, is dedicated to providing superior, personalized, quality health care to our neighbors, families and friends.